Fire & Arson Investigator accepts advertising. Advertising in the journal is an excellent way to reach more than 8,500 professionals working in fire investigation and the administration of justice. Acceptance of advertisements in the Fire & Arson Investigator journal is based on the following criteria and conditions. The IAAI reserves the right to reject any advertising for any reason. The advertisement must pertain to a product, item equipment, publication, system or service that relates directly to fire or arson. The advertiser must be prepared to validate any claims or statements made in the advertisement. The advertiser must not mention a competitor or make or imply comparison with other than the advertiser's product, equipment, publication, system or service. An advertisement must not display a picture or art work that is not a true and accurate representation of the product, equipment, publication, system or service being advertised. An advertisement that contains a reproduction of news matter must be accompanied by written authorization from the publisher. An advertisement must not contain news matter from the Fire & Arson Investigator journal. It is understood that an advertisement in the IAAI publication does not constitute, and shall not be interpreted as, an endorsement of the advertiser, or advertiser's product, equipment, publication, system or service by the IAAI. It is understood that an advertiser shall not use the IAAI or image in its commercial activities in any manner that would directly or indirectly indicate endorsement of the advertiser or the advertiser's product, equipment, publication, system or service. 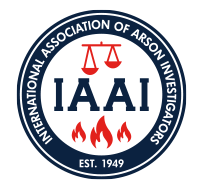 It is understood that an advertiser will not use the fact that a product, item of equipment, publication, system or service had been advertised in the Fire & Arson Investigator journal to promote or market the product, equipment, publication, system or service. The editor will be the responsible party for making the final decision in the printing of the advertisements in the journal. Accepted Formats: High Resolution PDF, Photoshop, Illustrator, or InDesign file. Ad design services available upon request, additional charges will apply. The IAAI reserves the right to reject any article or advertisement for any reason.